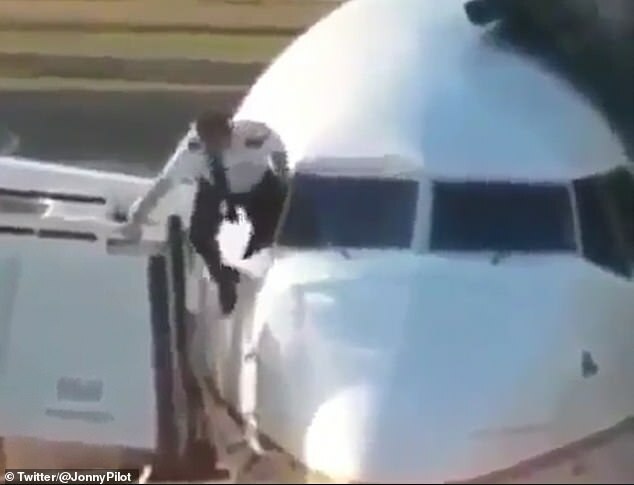 A pilot was spotted trying to climb through the window of a plane after he forgot his keys in a hilarious clip. 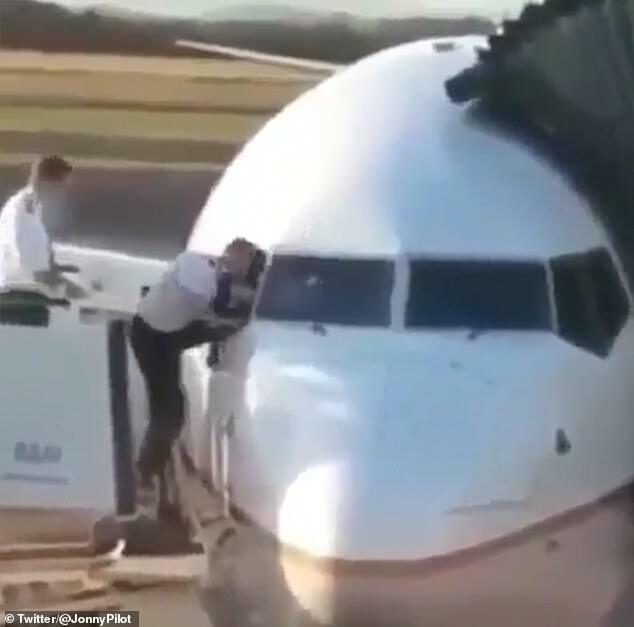 Footage of the incident, which took place at Terminal 2 in Heathrow Airport, shows the clumsy pilot trying to dangerously manoeuvre his body into the tiny window, the Daily Mail reports. The pilot, who has not been identified, can be seen with one leg in the cockpit as he desperately tries to balance himself on a wobbling platform. But the platform starts to move and the pilot tries in vain to free his leg as he dangles out the window uncomfortably. He reaches his hand inside and even tries to stick his head in before another pilot comes to help. The video, which has already been viewed more than 12,000 times, is said to have shocked and amused users on social media.